Founded in 2003, Hidden Bench is an artisanal, estate winery situated in the heart of the Beamsville Bench sub-appellation of Niagara. This boutique winery whose mantra is “Sustainability, Terroir, Technology and Passion” has established a reputation for excellence both domestically and internationally due to the consistent benchmark quality of its wines. Reputed for its forward thinking use of environmentally sustainable practices as well as the superb quality of its wines, Hidden Bench farms its low yield vineyards (<2 tonnes /acre 35hL/hectare) using organic practices, employs geothermal technology to control cellar and wine process temperatures and was the first Ontario winery to generate its own electricity through 105 solar panels. “Grown , produced and bottled by Hidden Bench” proudly appears on every bottle of Hidden Bench wine , as it’s one of only a handful of Ontario wineries that continues to make wine exclusively with organically certified fruit that has been grown on its estate vineyards. The raison d’être of Hidden Bench is the ancient limestone rich glacial moraine soils of the Beamsville Bench which permit the Hidden Bench team to craft complex, benchmark Pinot Noir, Chardonnay and Riesling with passionately focused attention to detail from the vineyard to the bottle. The unique climatic conditions and limestone/clay/ silt soils of the Beamsville Bench continually inspire the Hidden Bench winemaking team to use traditional, gentle and minimal intervention winemaking techniques to produce both estate blends and single vineyard wines which are truly reflective of their unique terroir. Following an inspiring food and wine trip to Canada’s west coast in 2002, Jay returned to Toronto with one thing in mind: Leave the software industry behind for a life in vines and wines. Since then Jay received his formal wine education through Niagara College’s Viticulture & Winemaking program, graduating in 2005. 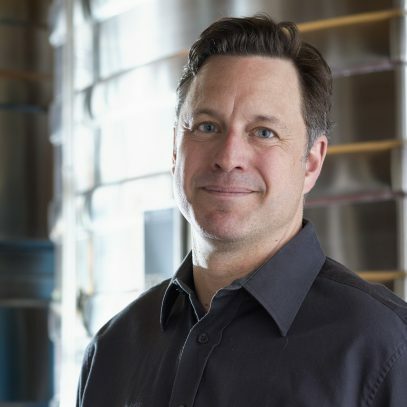 Jay was a part of the Hidden Bench team previously, and we are thrilled to welcome him back as our winemaker. Passionate about cool-climate varietals, with their finesse and their delicacy, Jay feels back at home to be focused on Pinot Noir, Riesling, and Chardonnay in the HB estate vineyards. With a deep passion for terroir, a desire to farm our vineyards to their greatest potential and a profound respect for cellarwork, Jay is extremely excited to be returning to the Hidden Bench family. When he isn’t in our vineyard, he is often found as a defensive player for Hamilton United Old Timers soccer team, or cheering on the Arsenal Football Club with his wife and two boys. The mitigating factors which contribute to the success of Hidden Bench Chardonnay program are the following: We use 100% estate grown, organically certified fruit from our three vineyards. Locust Lane, Felseck and Rosomel. All of the fruit is hand-picked, sorted and whole bunch pressed to yield the most pure juice. We use non-interventionist winemaking methods including barrel fermentation with indigenous yeasts and naturally occurring malolactic fermentation which adds to the richness and complexity of the wines.